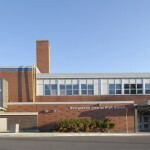 Georgetown High School was officially opened on January 10th 1887, in a temporary space at the Chapel Street Public School. It was opened at its present location in 1889. The school houses approximately 1950 students and staff who are dedicated to an educational environment where students can learn and achieve both academic and co-curricular excellence. 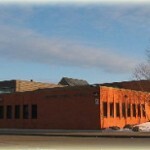 GDHS offers a wide variety of programs and courses. It is an International Baccalaureate World School and is home to the Ontario Youth Apprentice Program for Carpentry & Cabinet Making; Hairstyling and Esthetics and Transportation. It also offers “high skill” programs such as Culinary Arts, Hospitality and Tourism in addition to several other programs. 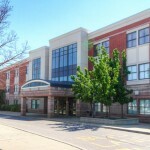 Visit their website for further information: www.georgetowndistricthighschool.com.